Epeius 2000® is designed exclusively for Tools coating. The chamber available for customized provides a large size selection.we can make chamber even bigger than you thought so you may finish more work in an one batch. The Maitaince is easy because the shields is easy to change.In Epeius 2000® ,all technologies can be hybride in one chamber.A group of turbo pump for higher demand creates a strictly environment to ensure a flawless finish, free of imperfections. 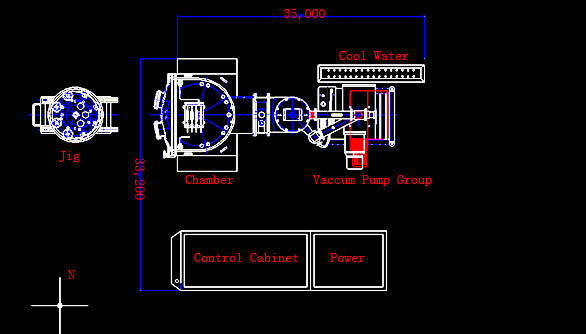 We also provide deffusion pump as another choice.